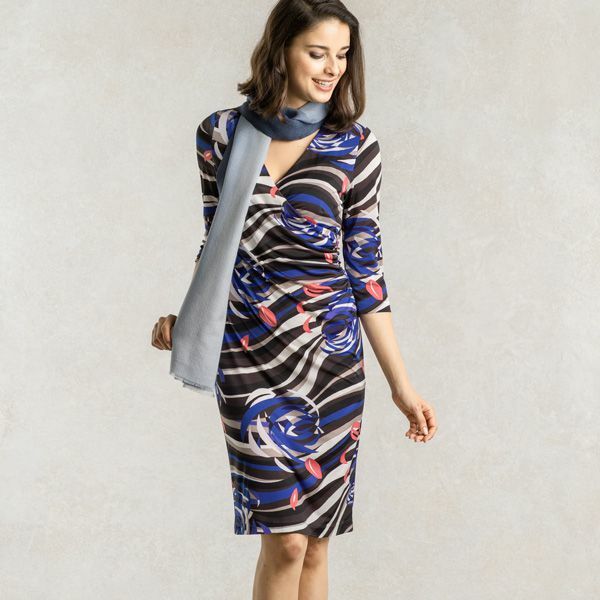 Our washable jersey dress with a compact silhouette and rose print is beautifully dynamic. A perfect dress for the woman who wishes for both gorgeousness and serenity in one dress. The deep royal blue contrasts beautifully with the monotone colors, while the roses add a subtle playful accent. The perfect dress for elegant women. Made with a comfortably elastic jersey material woven using beautifully vibrant thread. The inside is delicately lined with fleece to add extra warmth and comfort. The cinching at the waist creates an asymmetrical draping, flattering your natural figure. The neckline beautifully displays your décolleté. 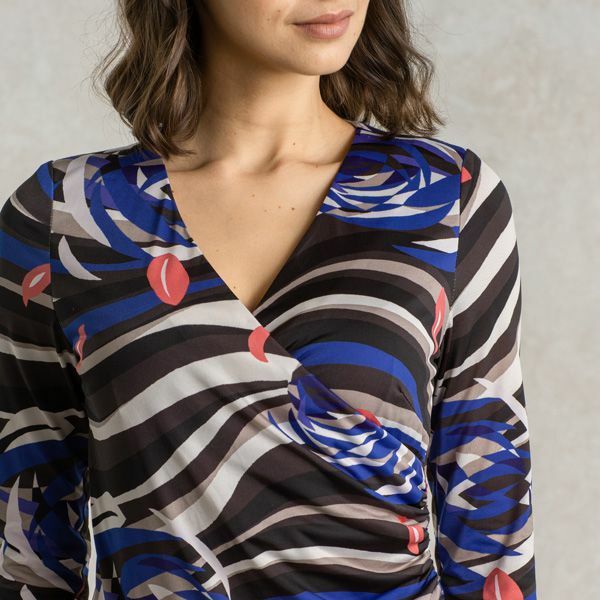 Pair with accessories for the perfect party look, or wear with a stole that matches one of the colors in the print to create a harmonious look.